ready to accommodate any number of future developments combined with flexibility of JMS management software. the space-optimized structure grants an easier and safer mechanical intervention, while the rationalized selection of components across the entire product range makes it possible to leverage on a compact and future-proof stock of spares. thanks to the extended testing phase and best engineering practices, Jupiter system consistently performs over extreme weather conditions and heavy-duty applications. a wealth of configurations allow for an extremely scalable solution, ideal both for single and multiple sites. taking the operator’s branding to the fullest, Jupiter’s housing and plinth can be ordered in custom color - and doors as well. New demands mean new and more flexible features to embrace innovation. 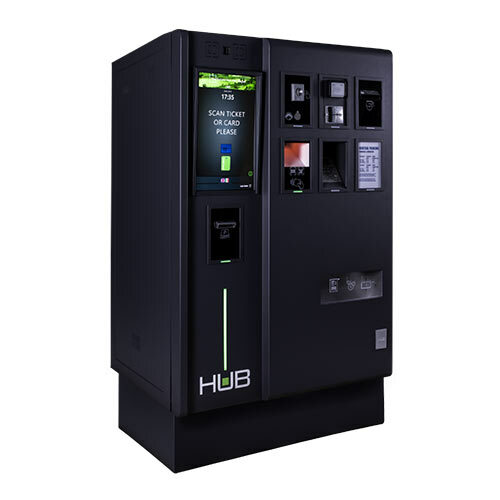 HUB Jupiter is designed to adapt to complex systems incorporating license plate recognition, contract parking, credit card in/out parking, online pre-paid parking, or a combination of these. Jupiter comes not only with an appealing design, but also with an intuitive set of icons, touch points, and guidance elements that turn the human-machine interaction into a streamlined and flawless process. 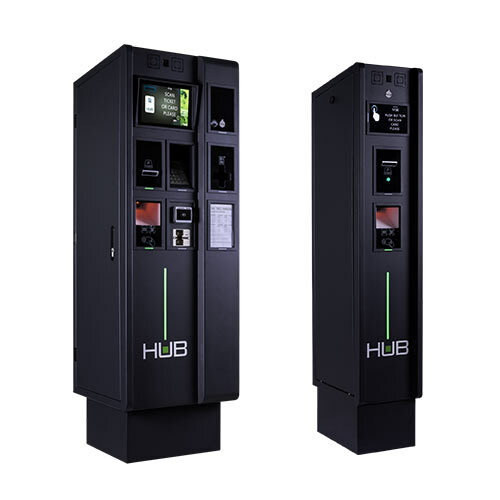 The design of HUB Jupiter range is optimized for ease of installation and serviceability, thanks to features that make it easy to service and troubleshoot, while reducing the cost of ownership for the end customer.